Duane L. Herrmann was born in 1951 and raised on a farm near Berryton, Kansas. He still does much of his writing out on the farm under the trees in the breeze. He began composing stories at a very young age as an alternative to daily life. To say his childhood was painful is mild; he was suicidal by age 12. He spent as much time as possible with his grandparents on their farm next door. At 13 he was taught how to operate farm equipment to help on the farm. In his elementary school years he began writing his stories down, but none survive. In high school he began writing poetry, the first of which was published his senior year. He attended Washburn University in Topeka one year, then transferred to Ft Hays State in Hays, Kansas. He had accepted the Baha’i Faith while at Washburn and then helped begin a Baha’i community in Hays. While doing his student teaching, he also lived in Garden City. His first professional job was as an Elementary Librarian in Topeka. 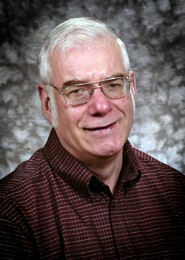 He holds degrees in Education and History and has taught at Allen County Community College. He married and had four children. During the 1980s, doing most of the work himself, he built a house near Berryton to raise his children. The marriage ended in the '90s. In the four decades since high school his work has been published in the United States, Australia, Canada, England, Germany, India, Israel, the Netherlands, New Zealand, Switzerland and Wales, in English, German, French and Dutch. Translations are forthcoming in Italian and Farsi. His work has been cited in (at least) the U.S., Denmark and Germany. And news reports about his work have appeared in France and Iceland in those respective languages. He has given poetry readings in various cities in Kansas, as well as in Nebraska, California, Illinois, Michigan and New York – and in Canada and Germany. In addition to poetry he writes short stories, stories for children, essays, memoirs and (ground breaking) history specializing in the second Baha’i community west of Egypt (which is in Kansas). All in all, not bad for a farm boy with dyslexia, cyclothymia, an anxiety disorder and post traumatic stress. in cultivation: sowing and reaping. we are plowmen in our rows. in neat and even lines. for a different kind of crop. a faint and fragrant memory. pores and cracks and leaves. lifts me up or down. Kansas Bahá'í Newsletter: 1972-3, 1976, 1977-79. "Inscape" of Washburn University, poetry editor: 1987-89. Voices From a Borrowed Garden, Louhelen Bahá'í School & Buffalo Press, 1990. Thanks and Giving, - Grant Cushinberry, Buffalo Press, Topeka, 1990. The Heart of What Is, - Doug E. Shaffer, Buffalo Press, Topeka, 1990. "Allegro," Topeka Symphony Orchestra, Assistant Editor: 1991-92. "Orison," Arts Review, Association for Bahá'í Studies (Canada), Assistant Editor: 1994. "Houses as Perfect as Can Be." "The First Half-Century of the Bahá'í Faith in Kansas." "Robert Hayden and Political Correctness." "Exegesis of Letters from a Nineteenth Century Kansas Bahá'í." "1897 Press Reception of the Bahá'í Faith in Kansas." "Nazi Destruction of the German Bahá’í Community." "Topeka Bahá’í centennial history: research, writing and publication." Kalimat History Conference Grant, 1986.
issue dedicated to Duane L. Herrmann Vol. 3 No. 1, 1994, verso. Write About a Kansas Author - Honorable Mention: "Dr. David S. Ruhe: Kansas Author"
Convention Theme Poetry - Second Place: "Trees"
Narrative Verse: "Home to Bayern"
Narrative verse: "The Beginning and the End"
Quoted, p. 490: “The oneness of humanity is expressed in the architecture of Bahá’í Houses of Worship by incorporating indigenous cultural symbols and transforming them into universal symbols.” (‘Houses as Perfect as Is Possible,’ World Order, p.18).